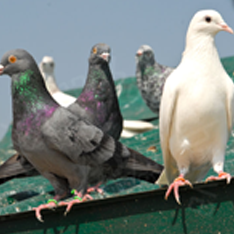 Roosting birds not only attract other pests and insects but litter your property with debris and droppings as well. The best way to prevent bird damage is to prevent them from landing on your property in the first place. Bird prevention spikes are a popular product for bird control. Bird spikes are discreet, humane and effective that create a barrier against birds seeking a place to perch or roost. Dirt Busters can supply and install Bird Spikes to your domestic or commercial property.